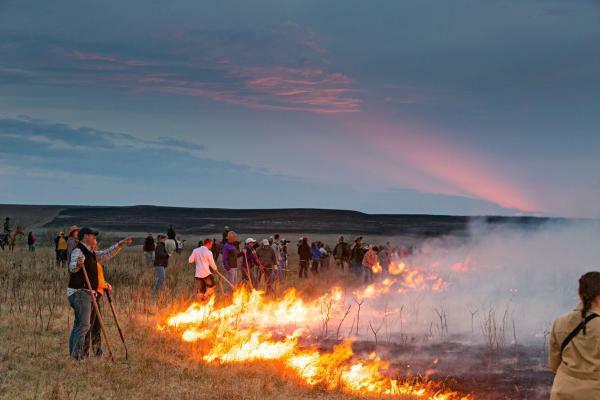 Ranchers toss lit matches onto the Flint Hills prairie in early spring, creating orange lines of flames that snake day and night across the parched grasses of east-central Kansas. The result looks like a blackened ruination of one of the last virgin prairies in North America. Instead, it’s the spark these hills need. Rains come, and the prairie sprouts brilliant greens over its endless dips and swells. Before the modern rancher arrived, Kaw Indians resided in the hills and Santa Fe Trail travelers passed through them. The landscape hasn’t changed much since that time. Unspoiled, nearly treeless hills with bluestem grasses, accented by bright-orange butterfly milkweed and other wildflowers, provide glimpses to a time when open grasslands covered more than 1 million square miles of the continent. 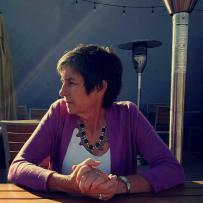 For a thorough orientation to the region, start at Manhattan’s Flint Hills Discovery Center. 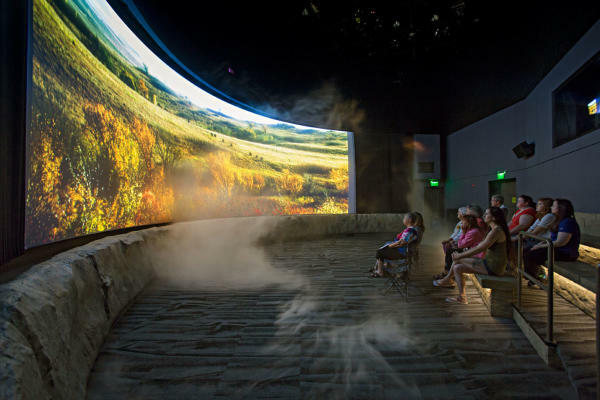 The museum immerses visitors in the beauty and heritage of the nearly 10,000-square-mile region, especially during an introductory film with special effects that include gusty winds, falling snow and billowing smoke. Walk a couple blocks from the museum to four-block-long downtown Manhattan, home to independent restaurants like Bourbon and Baker, which serves twists on standard American fare like corn bread sliders and deviled eggs with Sriracha. Closer to Kansas State University, students rock into the wee hours in the Aggieville bar-and-restaurant district, and daytime shoppers frequent some of the 90-plus specialty shops and eateries, including Radina’s Coffeehouse and Roastery. 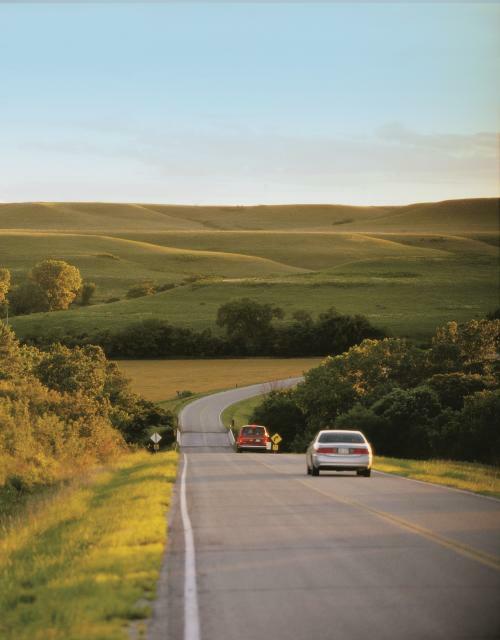 About 40 miles south of Manhattan, the 47-mile Flint Hills National Scenic Byway (State-177) connects the ranch towns of Council Grove and Cassoday. It gives road trippers the best two-lane tour over the undulating hills, past ranches and occasional cowboys working their herds. Along the byway in Council Grove, campers stake a site at Canning Creek Cove Park, one of eight parks surrounding the 3,300-acre Council Grove Reservoir. Water laps within earshot of many of the campsites, set among hills and limestone outcroppings rising from the shoreline. Also in Council Grove, Allegawaho Heritage Memorial Park features a 35-foot monument that pays homage to an unknown Kanza warrior, plus a 2-mile heritage trail that connects with the 117-mile Flint Hills Nature Trail. 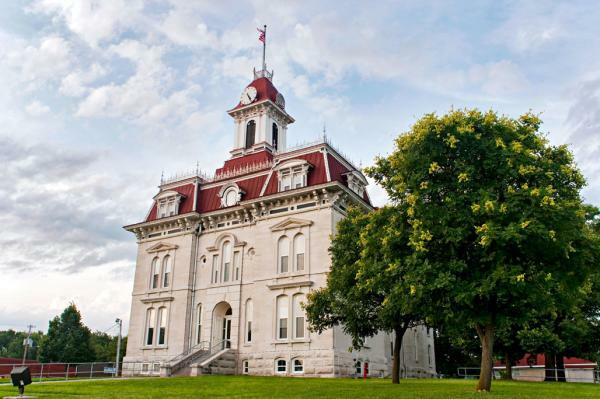 Before leaving town, learn about the town’s Native American roots at the Kaw Mission State Historic Site—built in 1851 as a school for Kaw children. The roller coaster byway continues south of Council Grove to more room to roam at the 11,000-acre Tallgrass Prairie National Preserve. A visitors center video sets the stage for touring the 1881 limestone house, barn and one-room schoolhouse and hiking the 1.8-mile Southwind Nature Trail to an overlook. Days of exploring call for cut-to-order steaks at the 1880s Grand Central Hotel and Grill in Cottonwood Falls. A crowd gathers in the shadow of the French Renaissance Chase County Courthouse on Broadway Street to hear area fiddlers and folk singers at Emma Chase Friday Night Music, a weekly celebration of the region’s spirit of renewal. In spring, the 7,000-acre Flying W Ranch outside Clements invites greenhorns to spend the day at Flames in the Flint Hills. 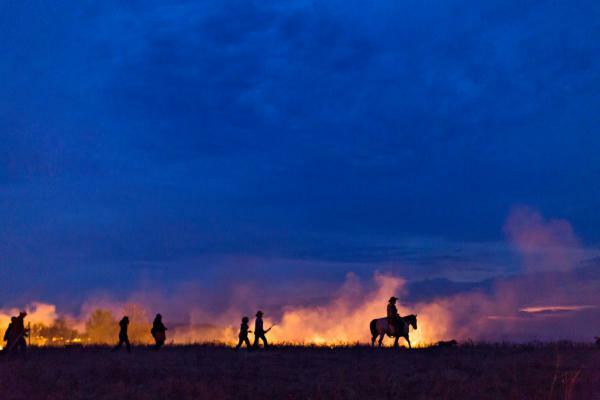 Guests ride horses, learn about prairie ecology and carefully set the prairie on fire to help renew the grasslands. The 80-piece Kansas City Symphony performs alfresco at a different ranch each year. The crowd of 7,000 attending the Symphony in the Flint Hills lines the hillside for an evening complete with a cattle drive and sunset accompanied by music. Both events tend to sell out well in advance, so be sure to purchase tickets early. A series of three waterfalls cascades in quick succession at Chase Lake Falls, part of Chase State Fishing Lake west of Cottonwood Falls. A 10-minute walk through the woods beyond the spillway ends at the base of the falls. 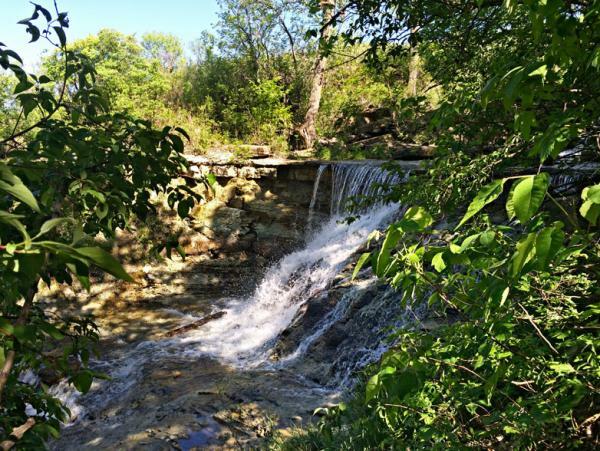 Similarly, the soothing sound of water in the woods lures hikers down the short, narrow path at Geary State Fishing Lake, 12 miles south of Junction City, to the top of 35-foot Geary Lake Falls. Get inspired with travel ideas along the Flint Hills National Scenic Byway and check out the 2017 Kansas Official Travel Guide for more road trip ideas.